The long lived and venerable 5080CTC 6.4 inch Clipsal Colour Touchscreen line has now been discontinued by Clipsal and is no longer available to purchase. Provided in this page is advice to clients with questions about how to replace or the new alternatives to the 6.4 inch Colour Touch Screen. 5080CTC2 and 5080CTC3 product specifications, brochures and manuals are still provided on our site for informational purposes. There are several options to replace the Colour Touch Screen and your choice will likely depend on your situation and preference. In a new installation Nous House recommends you consider the CLIPSAL 5500SHAC Smart Home Automation Controller (fondly called the SHAC) combined with a tablet, iPad or Clipsal 5500ETP10 Ethernet Touch Panel as the display. In the unlikely situation that your colour touch screen has failed, there are a few remedies. If still under the 2 year from puorchase warranty, return it to Clipsal for repair or replacement by going to www.clipsal.com/warranty and filling in the form and following Clipsal's instructions. If the unit is outside of warranty, you can send it to us at Nous House and we can perform a service assessment on the unit ($150 service charge) and if repair is deemed possible, return the unit to Clipsal to be assessed and repaired. If the device is beyond repair, it will not be returned unless you request this and fund the return postage costs. 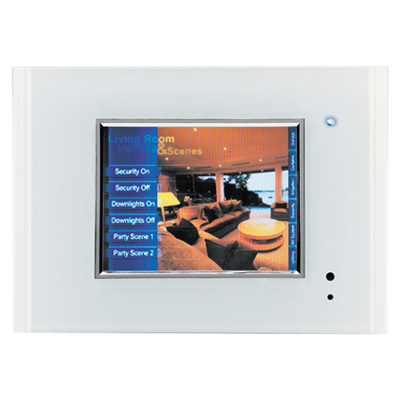 If your 5080CTC unit is dead, you have the option of transferring the logic, scenes and schedules of your Colour Touch screen project into either a Clipsal Wiser 2 Home Automation controller or a Windows PC running Homegate or Schedule Plus software. It should be noted that the Colour touch screen was actually a panel PC running Homegate software internally, so moving to Homegate on a larger screen is not a big issue or change. Many clients have replaced COlour Touch Screens with larger format Windows touch screen PCs such as Microsoft Surface, Lenova Yoga, HP Envy, HP Spectre or Kiosk POS PCs etc.